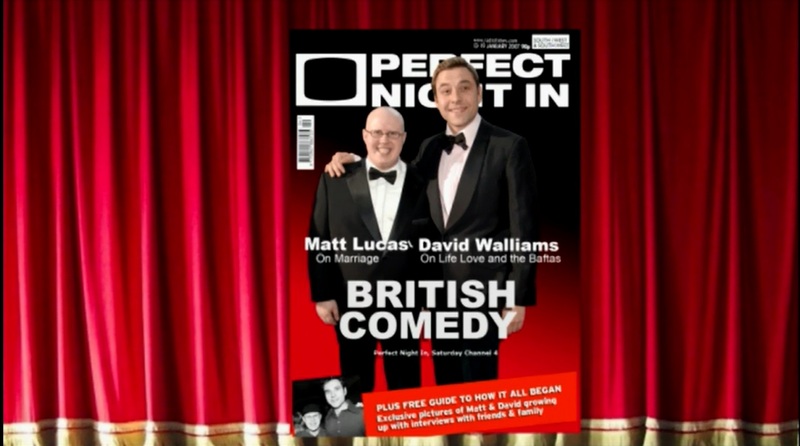 Perfect Night In features some of comedy’s favourite A-list stars as they choose their perfect night of TV. Show 1 – Matt Lucas and David Walliams, Show 2 – Nick Frost and Simon Pegg, Show 3 – Lenny Henry. They each pick their favourite TV and movie moments, which would make up their ideal night’s viewing.